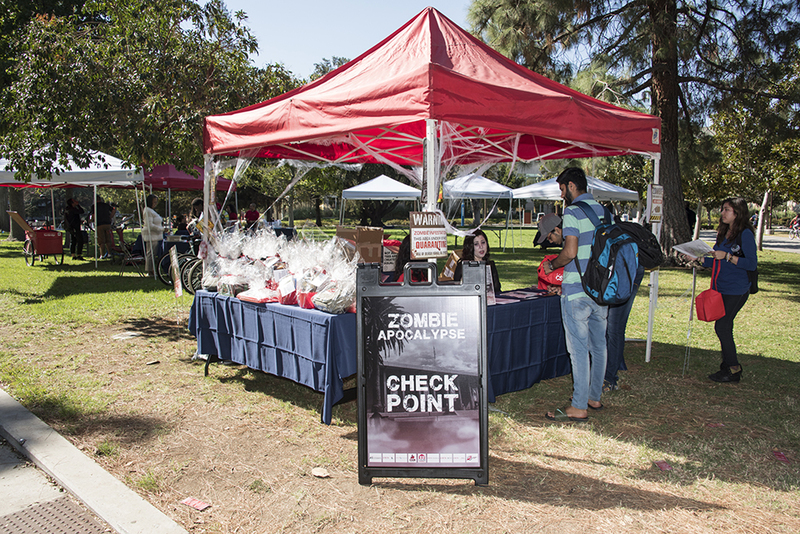 Zombies greeted students at checkpoints during the Zombie Preparedness Scavenger Hunt. Photo by Lee Choo. 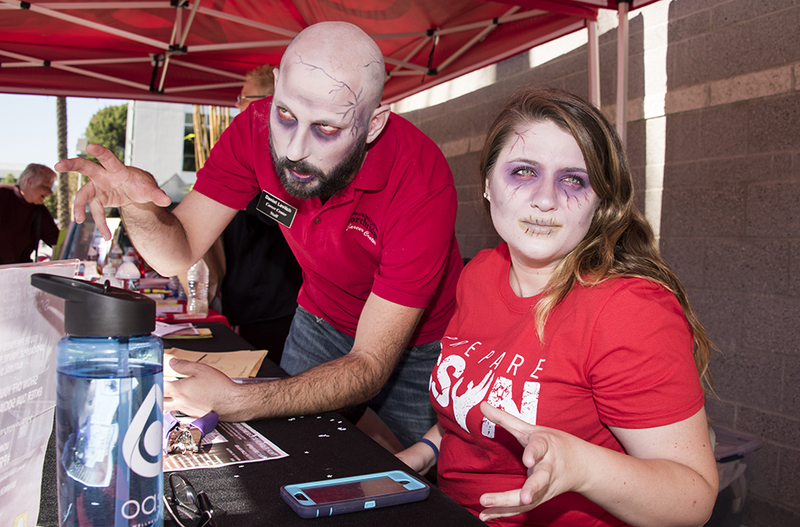 The Zombie Preparedness Scavenger Hunt took place at various checkpoints throughout campus on Oct. 25. Photo by Lee Choo. 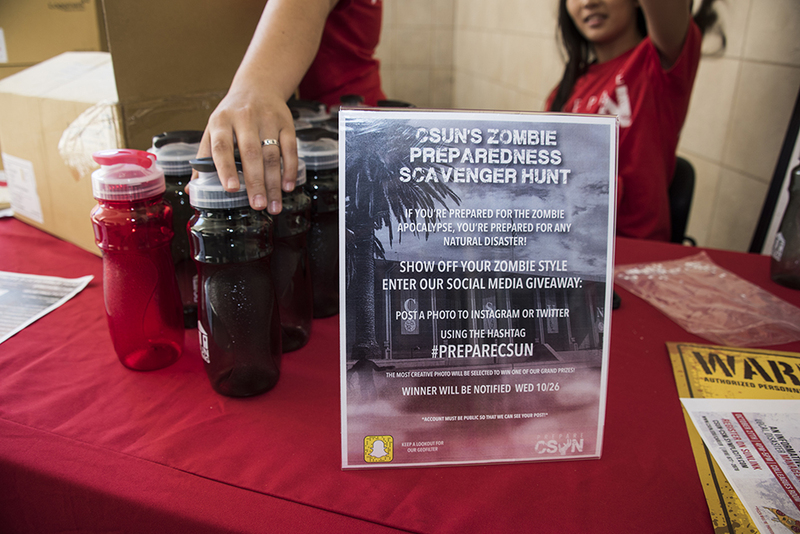 Hundreds of students assembled kits to prepare them for the zombie apocalypse on Oct. 25 as part of California State University, Northridge’s second annual, award-winning Zombie Preparedness Scavenger Hunt. Students received a map and a punch card pointing them to areas on campus where they could gather items for a starter disaster preparedness kit. After gathering all the items, students could return the punch card and be entered into a drawing for zombie-themed prize baskets. The kits included a flashlight, water bottle, hand sanitizer and an electronic charging kit. 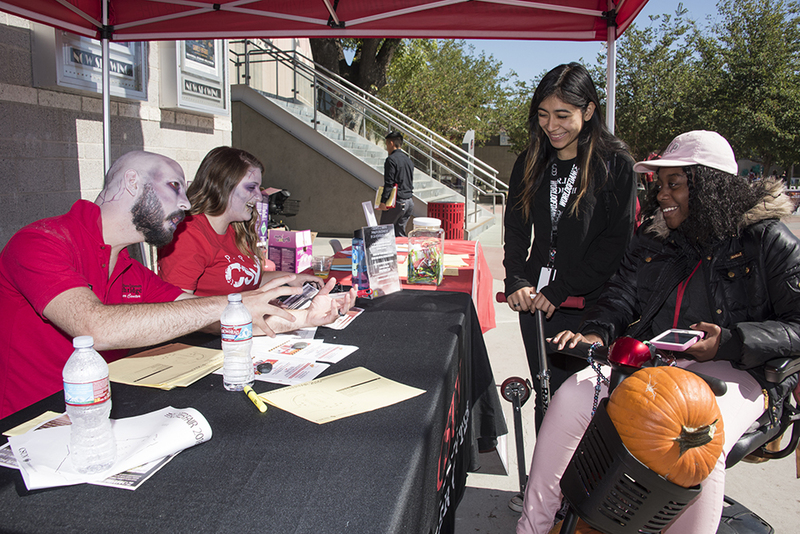 Check points were manned by students, staff and “zombies,” bringing the theme to life. The scavenger hunt’s creator, Emergency Manager Jenny Novak, was honored at the White House in September as the recipient of the Federal Emergency Management Agency’s (FEMA) Individual and Community Preparedness Awareness to Action Award for the event. 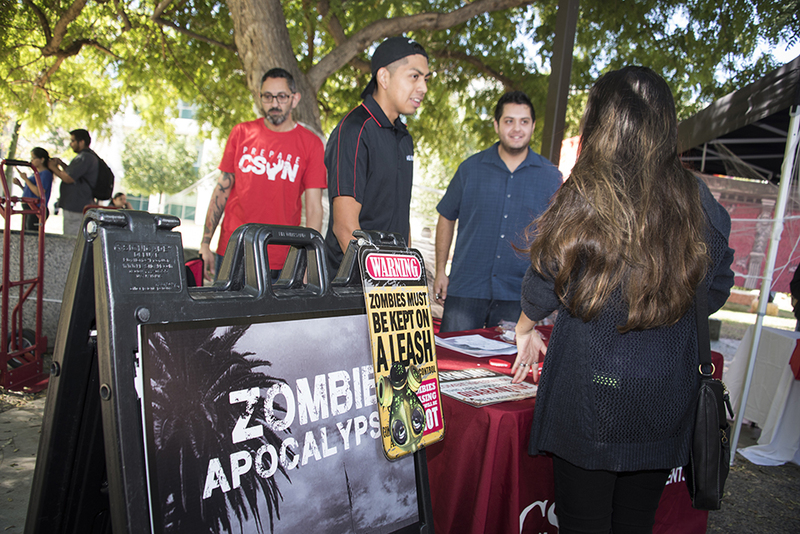 For more information on the Zombie Preparedness Scavenger Hunt, visit http://www.csun.edu/emergency/zombie-preparedness-scavenger-hunt.